Hi Everyone, I hope you are doing great!! 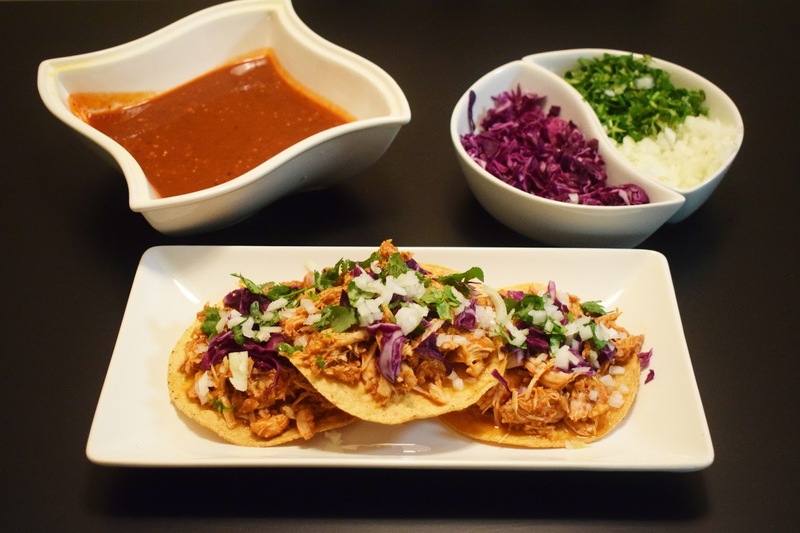 Here you have today’s recipe, it’s another one to celebrate this 5 de Mayo! I hope you give it a try, this one is so versatile, you can either bake it, grill it or broil it, or just place it in the slow cooker like i did, and you will get an amazing meal!! Enjoy! Happy 5 de Mayo to all of you who celebrate it! Have a wonderful and safe day! Have an amazing weekend. And once again thank you so much for your support, it really means a lot! Remove the Stems from the dry chilies. Cut the dry Chilies in half and place them in a bowl. Pour about 2 cups of hot water over the dry chilies and let them soak in the hot water for at least 10 minutes. After 10 minutes, now place the chilies and all the rest of the ingredients (except the chicken) into the blender and blend on high for about 2 - 3 minutes or until well blended into a soft sauce, then taste the flavor, add more salt, pepper or dry oregano if needed. Once you are happy with the flavor, the sauce is ready. After at least 4 hours, now cook the chicken in the slow cooker on low heat for 5 hours. After 5 hours, set the heat to high, and remove the chicken from the sauce, shred the chicken, sprinkle with a bit more salt and pepper, and place the shredded chicken back into the sauce and continue cooking it on high for 2 more hours. After two hours, the chicken is ready to be serve. I will serve it on Tostadas, but feel free to make Tacos, Burritos, Sopes, Sliders, or whatever you want with this chicken, everything you do, will be amazingly delicious. I garnish my Tostadas with chopped red Cabbage and chopped cilantro and chopped onion. Serve with your favorite sauce and that’s it!